Our First Chapbooks Are On Sale Now! Our 2014 On the Edge winners are now available. We are so excited by the quality of the poetry and the beautiful book design our printer Joe Carlough created. And the covers! Wow, the covers! QuillsEdge Board Member Anique Taylor created a painting just for The Garlic Peelers, and the multi-talented Suellen Wedmore sent us her own lighthouse paintings to choose from for Mind the Light. You can buy them now on our Purchase a QuillsEdge Chapbook for $12/book, with free shipping. They will be mailed out within 2-3 weeks. Both books contain a selection of poems from our four finalists: Eve Linn, Sarah Backer, Kim Baker, and T. Stores. One of the things I look for in a chapbook is unity of theme, keeping in mind Frost’s dictum that if 26 separate poems make up a book, then the 27th poem is the book itself. The Garlic Peelers exemplifies this. I love the stunning title poem, and the way the other poems unfolded, like cloves of garlic from its core. I also admired the variety of forms and voices used, and the central metaphor: women’s lives as many-layered and essential as garlic. I like the way Lucia Galloway plays with multiple levels of meaning (chase/chaste/chastened; skins/scraps/leavings/chaff), the quotes that are salted between sections, and the way each section is introduced by lines that are excerpted and reworked from the title poem. 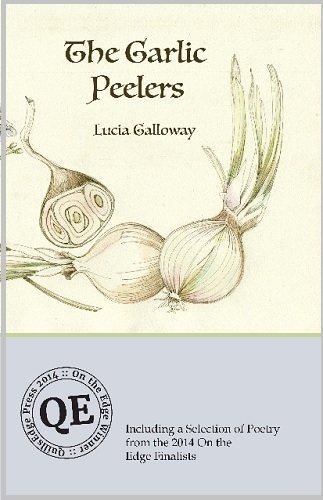 No good recipe is complete without garlic, and no poetry shelf is complete without this fine book. Mind The Light has as its narrators five very different women who were lighthouse keepers, five separate personas, five unique voices, like the multi-faceted Fresnel lens used in lighthouses. Each poem is a small gem; “lapidary” comes to mind in describing them. The central metaphor, women finding their strength in adverse and sometimes unchosen circumstances, took my breath away. This is a book of poetry that reads like a novel, and I challenge any reader to come away unmoved. 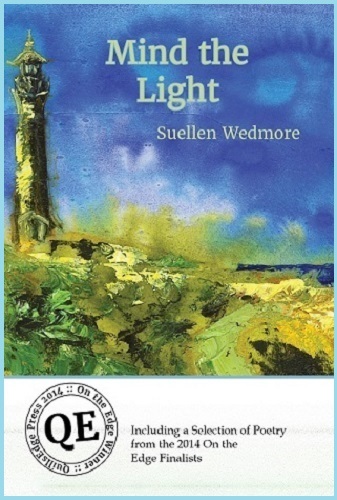 Mind the Light also has photos of four of the women, and an original painting by Suellen Wedmore of the fifth.